How has the CNY celebration been? organized by Yadah a little while ago. that are derived from natural plant extracts. mineral oil, sulphate or animal extract of any kind. 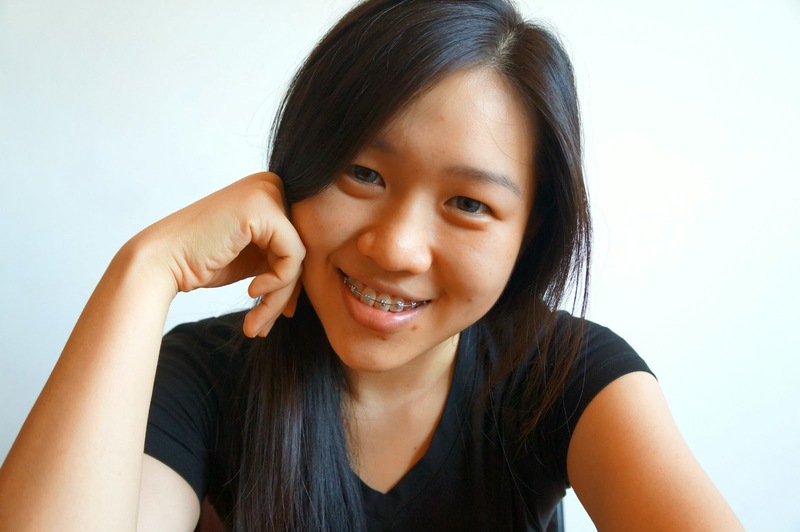 to hold a CNY party and product testing for 50 bloggers! The party was at held at Little Wonton @ TTDI. I got the chance to try out their sweet variety of wonton. I hear it was awesome! Such a cheeky character, don't you think so? it makes the brand so fun and youthful no? Their famous moisturizing cactus mist! to explain to us what Yadah is all about. Plus, we got a preview of their latest products! plant extracts that is contained in Yadah products. which is available in a cactus organically grown in Korea. Natural and Effective products that are gentle on your skin. Plus, it is suitable for all skin types and certified by the Korean FDA. is now available at all Sasa Outlets. It has been available since December 2013.
to help retain skin hydration with a touch of natural shine. The color pigments for the lip tint are from Tomato and Gromwell flowers extracts. The ingredients used are 100% free from artificial coloring and persevatives. White Mulberry, Pomegranate and Milk. Which just launched at the end of January 2014. 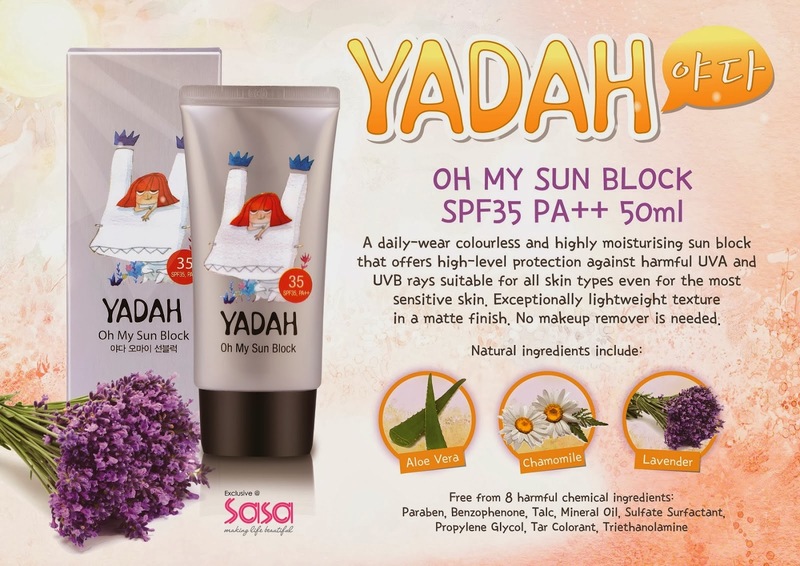 Here are some of the benefits of Yadah's Oh My Sun Block! from all the harmful UV rays. so, sometimes I struggle finding a good sunblock. But, Oh My Sun Block! has a wonderful non-greasy texture. and increasing the hydration level by 40%. starting the end of January 2014. This Mascara is design to give you more fuller lashes. lengthens lashes without smudging throughout the day. It launched on December 2013. We were given 3 different sun block to try and compare. Most of us there love love love the texture of the B sample. B: Yadah's Oh My Sun Block! 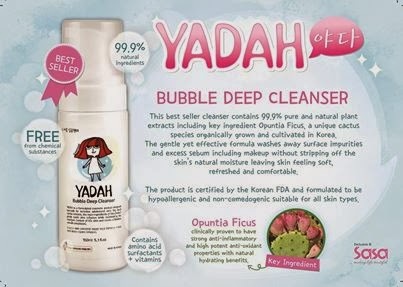 Yadah's Bubble Deep Cleanser is one of their best selling product! 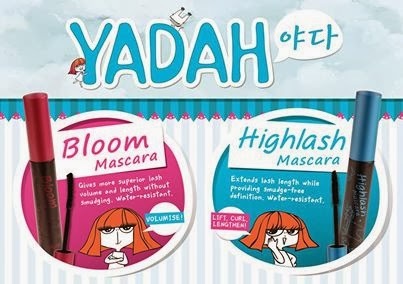 Yadah's Bubble Deep Cleanser is said to effectively remove impurities and make up. the hardest part of removing make up is eyeliner. So, we put this cleanser to the test. Really a great cleanser to rid of make ups. 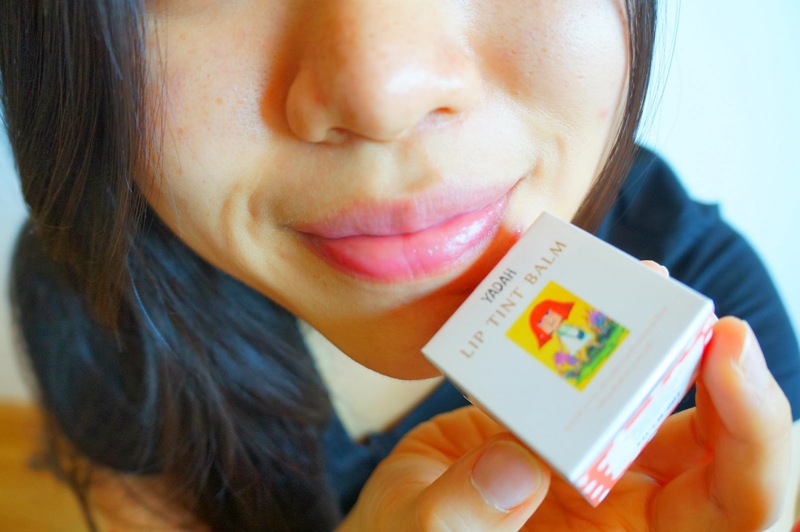 We had 2 volunteers to test out the staying power of the lip tint balm. Then, they were each given a bowl of wonton noodles to finish up. and of course it did! because the color will stay. it was time to fill our stomach! 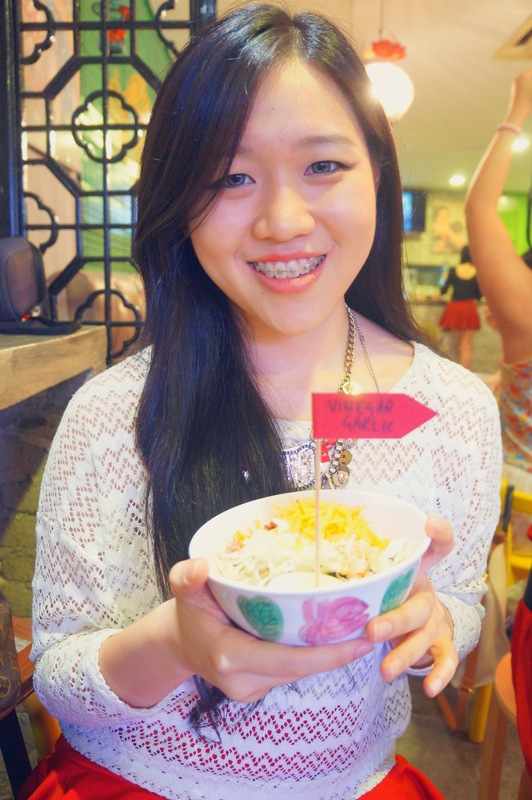 Yummy bowls of noodles were served! YADAH Oh My Sun Block! It is a new and improved version from their previous sun block. 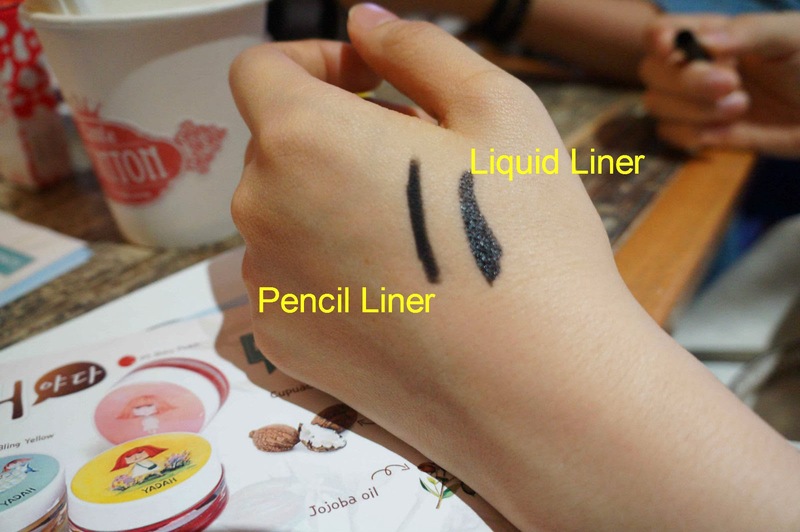 It s highly moisturizing, fast-absorbing, non-tinted, non-sticky and non-greasy. it feels like you’re wearing nothing at all. Safe to use on skin even for children. That's what the DESCRIPTION says about the product. Now, what do I think? I love this sun block! The texture is as they say NOT sticky or greasy. what's the point of wearing sun block if I am to pad it off. I didn't edit the photo at all. And, oh my, there is no nasty sun block smell! This sun block is totally fragrant free. You really have to try and experience this wonderful product. long-wearing curls and volumizes and lengthens the eyelashes. It will maintained a sharp eye look without forming lumps or smudging. Can be removed easily with lukewarm water. making my eyes have some kind of bald spots, if you know what I mean. each swipe was smooth and it really did lengthen my lashes. Plus, this mascara is really easily removable. why not give this a try. as it helps to lock moisture in while leaving lips with a shiny tinted finished. keep lips naturally soft and hydrated. tomato, gromwell and moroheiya for its natural colour pigments. Dry lips are now a thing of the past. because my lips are quite prone to cracks. is hardly noticeable after application. and apply lip stick for the color. 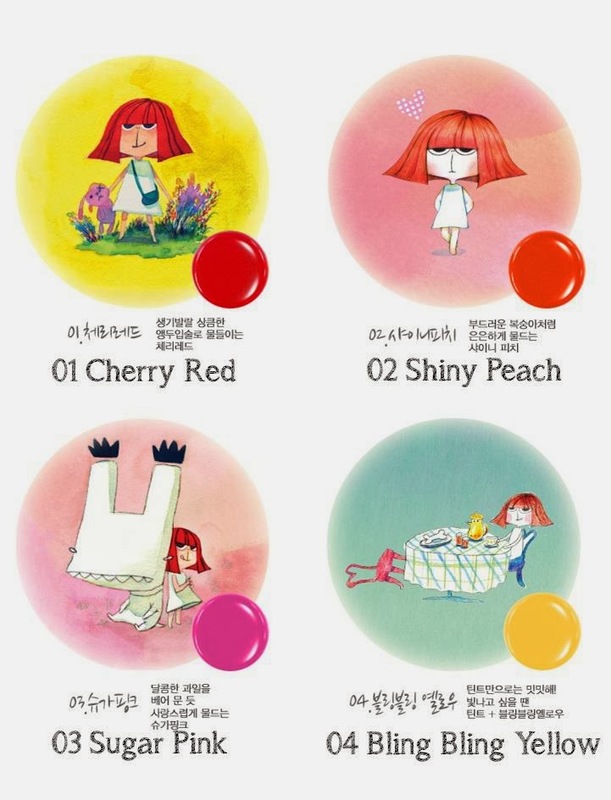 Can YADAH Lip Tint Balm change my mind? it really does give moisture and smooth finishing. it is perfect for everyday use. It is just the right amount of color to give a healthy look. if you wipe it multiple times. The ingredients used are 100% free from artificial coloring and preservatives. after buying a products that only CLAIMS to be that good. where it does not quite smooth over the lips well. 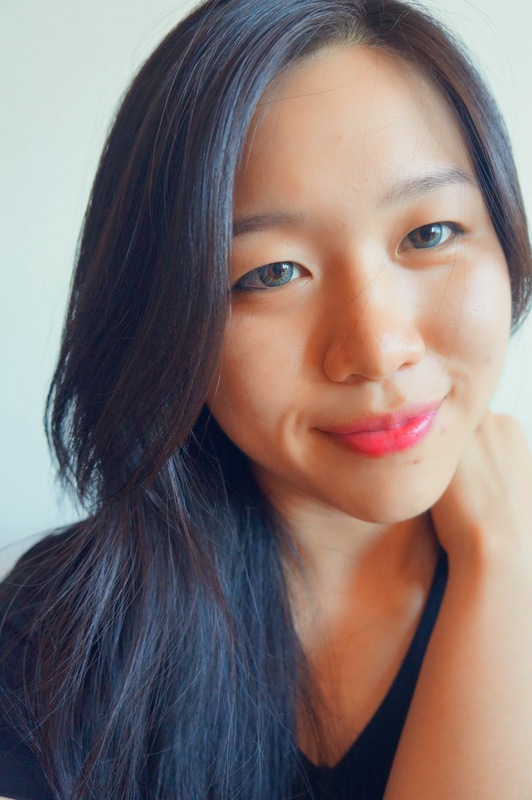 Plus, other lip tint color never stays! I have to re-apply like a gazillion times. That is why I stick to lipstick, the color still runs but not so much. So, what are my thoughts about it? I think I just found THE lip tint! The color is wonderful, I absolutely love it! which is perfect for any occasion. 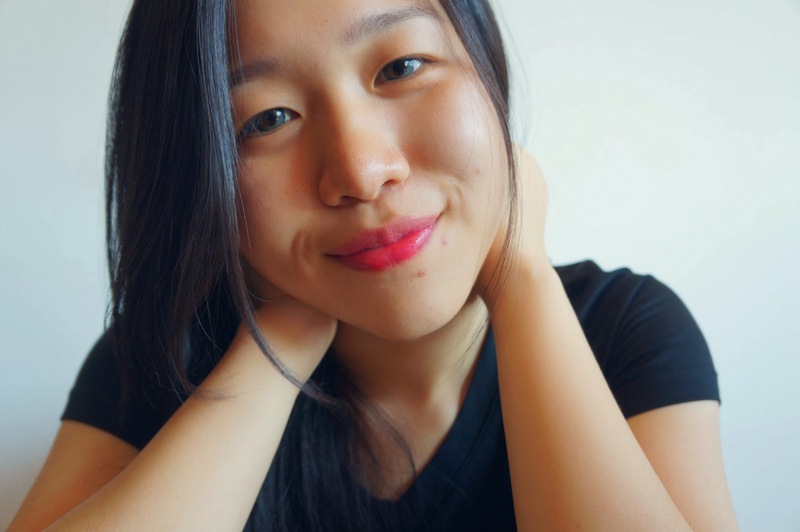 The application of the lip tint is smooth and easy to apply. no extensive contact with food or drinks. Btw, you can also use this tint as a blusher too. Effectively removes impurities and make up. Perfect for dry and normal skin. cleanses the skin effectively without irritation. keep the skin clean and moisturized, control the pores, blackheads and excess sebum. but I found that I had to rub quite vigorously for the liner to come off. How will it work on the face? moisture is still retain after the wash.
remove it with oil based removals. And, oh the smell is so WONDERFUL! it had made quite a good impression. YADAH is the product to consider! 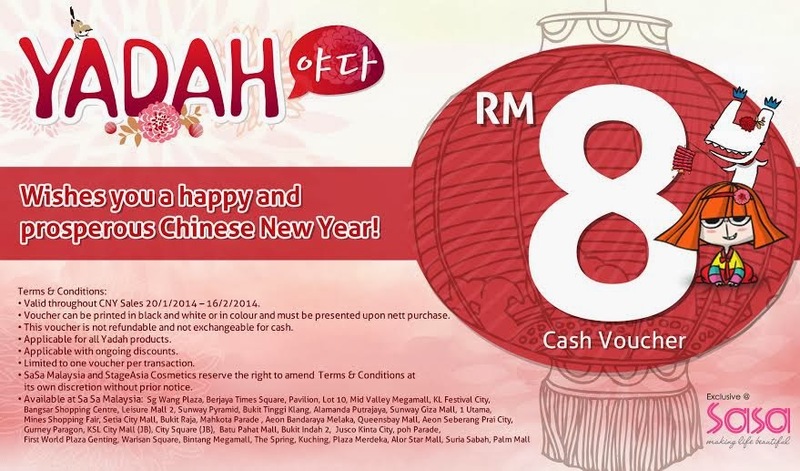 print out this voucher and get a discount for yourself ya! and exposing me to such a great product.